Four Weeks Into the 2011 NFL Season, and How Does Juan Castillo Still Have a Job? An Offensive Line Coach to Defensive Coordinator.. 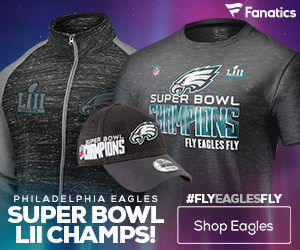 The Philadelphia Eagles (1-3) are now four weeks into their supposed ‘Super Bowl Season.’ If you can believe how quickly and poorly things have deteriorated in Philadelphia from the team’s week one game in St. Louis — Try and explain it to me, because I am still in shock. The Eagles have now lost three straight games, two of which were in Philadelphia, and the ‘dream team’ has totally fallen apart. All offensive issues aside, the Eagles defense has been atrocious. For example — The Eagles currently have the worst red zone defense, 30th in rushing defense, and 11th in pass defense. But the numbers don’t necessarily reflect the exact nature of the Eagles situation. I would venture as far as to say that numbers don’t matter at all, and the only statistic that counts is wins. A stat the Eagles have had a hard time obtaining this season. 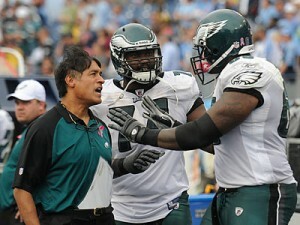 Juan Castillo was promoted from within this NFL season, and he was Philadelphia’s offensive line coach. Hold on for one minute — The Eagles miserable offensive line, one that has been consistently bad throughout the past decade, and the Eagles are going to promote that coach? Out of all the possible options. Not a defensive backs coach, defensive line, linebackers, or any of the above? Nope. Castillo got the job. In an attempt to replace the late Jim Johnson and most recently Sean McDermott, Castillo was set to the task of establishing an effective defensive scheme for a team that has almost no linebackers, the best trio of corners in the NFL, and a solid defensive line. He whiffed it. Castillo totally missed his mark, and the Eagles defense has been terrible, and part of it can be attributed to his play-calling. 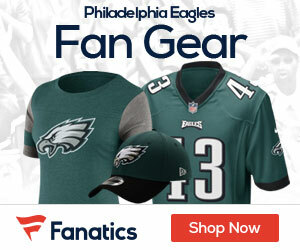 Philadelphia’s biggest acquisition this off-season was Nnamdi Asomugha, the ex-Raider and multiple time Pro-Bowler. Most will rank Asomugha as the best shutdown cornerback in the game, or at least on par with the New York Jets Darrelle Revis. Asomugha excels at being matched up in one on one situations, and playing tight press man coverage. He has never been known to do well in a zone coverage system. What does Castillo do? He puts Asomugha in zone coverage, and let’s him get torched for four straight weeks. The Eagles can’t stop the run. They can hardly stop the pass. They have almost no pressure on opposing quarterbacks. How is Philadelphia supposed to win games? There are so many things wrong with this Eagles team, but the biggest is Castillo. When he was first hired, I had some lenience and I held faith in Andy Reid that he knew what he was doing, but apparently not. Castillo has ended up being a worse flop than McDermott, and he is holding down a Philadelphia defense that has enormous potential with its defensive line and corners. Reid is already on thin ice, and I can’t imagine that Castillo will be able to keep his job for the entire season. However, Reid did say after a brutal loss to the San Francisco 49ers that, “No coaching changes are going to be made.” But as well all know, Reid and the Eagles are the best at double-backing on old promises. This will be even more true if Reid’s job really gets in danger, as he will be doing everything he can to stay on the team, and that means Castillo will be out the door. In my mind, it’s only a matter of time. If the past has taught us anything, its that we know Andy will right the ship. He’s been in the league for over a decade and a half with a handful of defensive minds currently coaching other NFL teams, all formally with the Eagles top strategist. He knows a thing or two about defenses. He WAS allowing Juan to be the defensive coordinator, call the shots so guys believe in Juan and his play calling ability. That ends now. Nanamdi and Asante will exclusively play man coverage, the safeties will be up on the linebackers. Everyone in man coverage with the wide 9 (without Cole,Parker) causing great damage to opposing offenses. No zones, no gadgets. The Eagles are going to line up and declare, “beat us one-on-one, man-to-man”. They will get interceptions. They will get sacks, they will get MORE coverage sacks. The offense will continue to be on fire and LeSean McCoy will be the game plan for four quarters the rest of the season. He is arguably the best back in football right now which means you get the football in his hands somehow, someway. That being said, the Buffalo Bills may be in for an ambush. The Eagles are pissed. They are backed in a corner with pro bowl talent throughout the roster. Andy will get his team back on track, and when he does…watch out NFL.